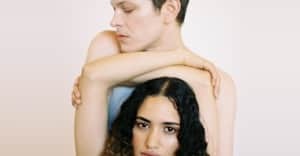 Mike Hadreas of Perfume Genius has spoken about his plans for new music, telling DIY that he is working on a dance-orientated project in addition to writing the follow-up to 2017's No Shape. “I’m in the very beginning part of working on a dance thing, hopefully writing music for it and also being in the show,” he said during a podcast recorded at Madrid's Mad Cool Festival. “If I can do that in tandem with writing music for the record too, maybe the first performance for the record could be in that show somehow." Speaking about the nature of the dance project, Hadreas added: "There’s something really punishing about the shows and I want the dancing to be like that somehow, so intense and so ecstatic and so a ‘body war’ kind of thing. It’s disgusting and pretty and everything all at once." In June Perfume Genius released the No Shape remix EP, Reshaped. Revisit The FADER's 2017 Perfume Genius cover story here.